Financial software and digital solutions provider Objectway has revealed a chatbot that utilises artificial intelligence (AI) to answer users’ wealth management questions, reports Jane Connolly. Designed with the specific requirements of the financial sector in mind, the Objectway project aimed to implement a new service model for financial institutions, in which AI can be used to deliver information and implement orders. To keep the interactions clear and simple, the chatbot uses Natural Language Processing (NLP), acts in a reactive manner, uses questions to manage word disambiguation and avoids asking for information that it already possesses. “In addition to this conversational agent, we are working to support the advisory activity with predictive analytics,” says Georgios Lekkas, Objectway’s chief product officer. 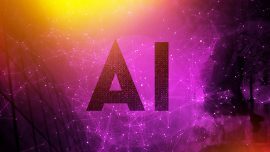 Developed in collaboration with the Computer Science Department of the University of Bari Aldo Moro, the chatbot was unveiled at Ital-IA in Rome, the first national Inter-university Consortium for Computer Science (CINI) conference on AI.